Last updated January 13th, 2019. Out of all the rapidly-growing frontier markets in Asia, Cambodia is arguably among the best for businesses and real estate buyers. This fairly small country in the heart of Southeast Asia has leapt forward in terms of economic growth ever since the Khmer Rouge disbanded more than 20 years ago. Cambodia property is the top way to profit from the nation’s unparalleled rise. Cambodia hasn’t suffered a single year of recession in 20 years. It skipped the Asian Financial Crisis of the 1990s, ignored the tech-bubble of the early 2000s, and even outgrew the recent 2008 Financial Crisis. There’s no such thing as a recession proof country but Cambodia is about as close as it gets. The reason is because Cambodia, like many frontier markets, is less correlated with the global economy. Almost every country is dependent on others in the 21st Century. If China, the US, or Europe gets sick, the rest of the world will too. The exceptions are countries which aren’t reliant on foreign capital. Cambodia is under the radar of most investors yet this is quickly changing. 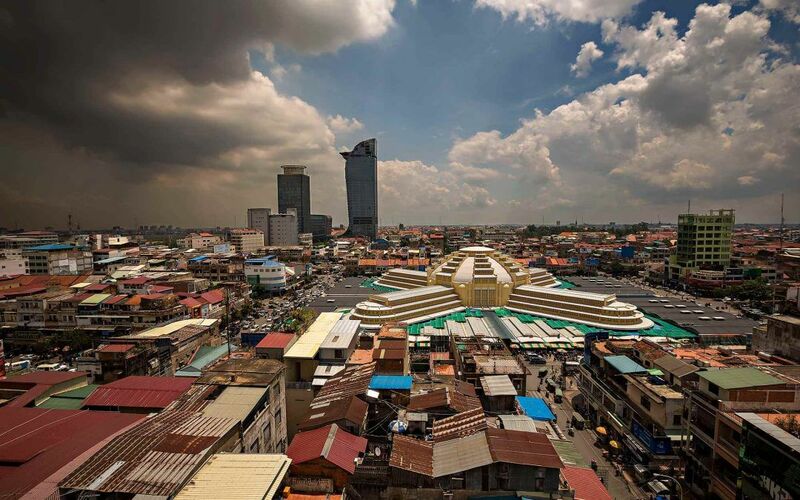 Multinational firms like Samsung, Nike, Toyota and more are setting up operations in Cambodia’s bustling capital of Phnom Penh. Foreign investment grew by over 800% in the past decade and seems like it’s just now getting started. Manufacturing is also growing at an impressive level – especially due to the lower cost of labor compared to China, which is becoming too expensive for industry. Realizing the potential here, investment is flooding in. But a problem exists: well-paid expats, often making six-figure salaries from international firms, have issues finding apartments that meet their standards. Phnom Penh has a shortage of expat-quality housing in several areas – especially in the city’s central and western districts like Daun Penh and 7 Makara. That means there’s potential in buying older apartments, renovating them, and either renting them out or reselling them afterwards. It’s possible to buy property in Cambodia for $50,000, put $20,000 worth of renovation into it, and then have it be worth $100,000 on the market. On the other end of the spectrum, some mid-sized towns in Cambodia are now booming with activity, construction, and growth as the nation’s middle class becomes prominent. These second-tier cities see practically zero foreign investment activity – it will inevitably arrive over the next decade though. First movers are always in the best location. Either way, Cambodia is one of the most exciting and undiscovered places in Asia for property investment. Can Foreigners Buy Cambodia Real Estate? Cambodia not only allows foreign investment but encourages it arguably more than anywhere else in Southeast Asia. Setting up almost any type of business with 100% foreign ownership is easy. A one-year multiple entry visa takes $250 and a few days. 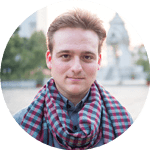 Living in Cambodia with a long term visa is simple and cost-effective. For real estate buyers, foreigners can own strata titles for condominium units directly in their own name. But strata titles are not available for land or shophouse apartments. The general consensus is that new condominium buildings are overpriced. You can often find the best deals in older shophouse apartments left over from colonial times. Plots of land with development potential are also promising for active investors. However, things get more complicated for these two types of properties since foreigners can’t directly own anything except a condominium unit. You must either set up a nominee agreement, enforced by several different types of contracts, with a Cambodian citizen or form a Cambodia land holding company. A land holding company is more legally secure, but requires annual licensing fees and monthly tax filing. The profits could still be worth the added effort and costs if you’re buying Cambodia property on a larger scale. Large companies like LG, Unilever, General Motors and many more are setting up shop in Cambodia. Besides strata titles, another quirk in the Cambodia property market is the distinction between “hard titles” and “soft titles”. Both give you legal freehold status and must be owned by either a Cambodian person or Cambodian company. Yet there are a few important differences between hard tiles and soft titles. Hard titles are registered through the national government’s land registry and give property owners an indisputable right. Soft titles are instead registered through the local government. Soft titles are, at least in theory, not as ironclad as hard titles. In reality, over 90% of properties in Cambodia are held on soft titles and they serve as legal, government-recognized proof of ownership. Soft titles are solid enough that practically any local bank will accept one as collateral for a secured loan. Most Cambodians even prefer soft title property because the transfer fees are a lot lower. Not only that, but the local government takes far less time for processing compared to the national government. Everything can be finished in a few days rather than months – something that especially makes a flipper’s life easier. With that said, proper due diligence is a good idea. Real estate investors will often hire a lawyer to speak with the neighbors, look through the land registry, and make sure the seller of a soft title property is indeed the true owner and has no encumbrances. It’s noteworthy that the World Bank began the Land Management and Administration Project (LMAP). The program finances a comprehensive, fully-digital land registry across the nation. Slowly yet surely, all land in Cambodia will be converted from a soft title to a recognized hard title through this initiative. It’s only a matter of time before all soft titles will be converted free of cost and no longer exist. You might read about “hard title vs. soft title” on other websites. But the notion of any major distinction between these two titles is mostly an invention of Cambodia’s expat community. Some people falsely claim soft titles are “not secure”. They would find out otherwise if asking local experts and checking what banks accept as collateral. How Much are Property Taxes in Cambodia? Annual property taxes are 0.1% of the property’s market value in excess of 100,000,000 Khmer riel (about $25,000). Needless to say, annual taxes are very low in Cambodia and often aren’t even payable at all. Rental income taxes are 10% for residents. For non-residents, rental income is instead taxed at a higher 14%. Various deductions may apply and can bring rates down significantly. Unused land is taxed at a rather high rate of 2% of its market price each year. Because of this, you can’t “landbank” in Cambodia without paying an unreasonable amount of taxes. Land purchases should be immediately developed and used to generate income as quickly as possible. If you speak to locals, you’ll find that most are not even registered with the tax system though. As such, there’s little to no enforcement of any of these taxes in Cambodia. That’s by no means a recommendation to not pay them. It’s merely a statement of reality and some insight into local practices. Is Buying Real Estate in Cambodia Safe? In a word, yes. Foreigners enjoy freehold ownership and total control over their properties if things are done correctly. Yet it’s important, especially for soft title properties, to speak with the neighbors and look at the land office’s public record. Make certain there are no other claims over the property you’re buying. Although rare, it’s not unheard of for people to sell properties that are mortgaged or otherwise disputed. This can be easily avoided with proper due diligence. It’s also important to remember that foreigners cannot own soft title or hard title properties in their own name legally – only strata titles. If you don’t wish to incorporate and form a real estate holding company, your sole option is to find a local nominee to hold the property on your behalf and bind him/her down with several contracts. That would require help from an attorney. Cambodia is a fairly small nation with a population of just over 15 million. With that said, they have plenty of cities that, each for their own reason, are great places to buy real estate. Some cities like Phnom Penh, Cambodia’s capital and largest city, are popular for very obvious reasons. Others like Sihanoukville and Siem Reap attract investors because of their their rapid growth in tourist arrivals. There are also mid-tier cities like Poipet and Battambang where we expect property prices will rise due to Cambodia’s rapid urbanization and population growth. A lot less activity from foreign investors happens in those cities. But they arguably have more to gain from an economic boom than anywhere else in the country. With a population of over 3 million and rising fast, Phnom Penh is the nation’s bustling capital and the center of its growth. For the most part, anything of business or political importance at all happens in Phnom Penh. Longtime travelers and residents of Southeast Asia would tell you Phnom Penh is reminiscent of Bangkok about 30 years ago. Nowadays, Bangkok is a modern metropolis of 16 million inhabitants, a regional business hub, and the most visited city by tourists in the whole world. Smart investors should take that as a cue. While many people are are buying real estate in Singapore or Bangkok, maybe investing in “the next Bangkok” or “the next Singapore” would generate better returns? That aside, Phnom Penh has much to offer any visitor – from highly authentic French cuisine to its casinos and street markets. The city’s temples are some of the world’s most ornate and are second in scale only to the size of its increasingly tall financial district. 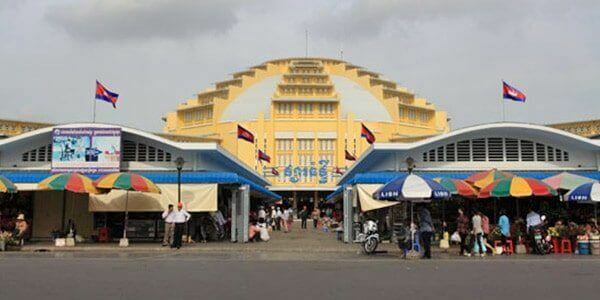 Phnom Penh’s art-deco Central Market is the city’s most recognizable building. Daun Penh is the most centrally-located district of Phnom Penh. It’s home to the city’s central market and main commercial neighborhood, numerous government offices, the riverside, and Wat Phnom. We believe it’s the first of three districts in Cambodia’s capital that should grow most over the long term. Phnom Penh’s riverside area boasts some of the highest property prices in not just Daun Penh, but the whole country. Of course, real estate values are still a fraction of riverside apartments in Bangkok or Saigon. Moving west, Phnom Penh’s tallest buildings are in the financial district with even more under construction. Street 110, the CBD’s focal point, sometimes has apartments for sale. They have potential to be resold at a premium to large developers in the future. This part of town won’t stay low-rise for long. It’s only a matter of time before office buildings and malls replace the colonial apartments that remain. Positioned in the southern part of the city center, Chamkar Mon enjoys some of Phnom Penh’s most upscale residential neighborhoods. 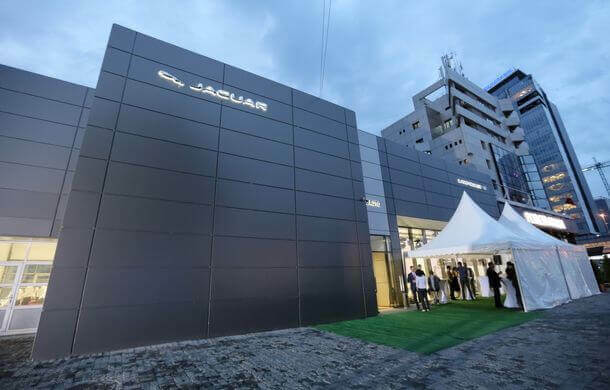 The areas referred to “BKK” (specifically BKK1, BKK2, and BKK3) are famous for their expansive villas, wide choice of fancy restaurants, and top-quality international schools. BKK is also where Aeon 1, the city center’s largest mall, is located. Chamkar Mon is fast turning into central Phnom Penh’s most desirable district for living and commerce. Chamkar Mon has Cambodia’s biggest casino right down the street from it as well. Even hotel brands like Shangri-La, scheduled to open in 2019, are currently moving into this part of town and benefiting from the tourist boom. West of both Daun Penh and Chamkar Mon, further away from the riverside, 7 Makara is not as central (nor as pricey) as either. But some predict this part of town is where much of Phnom Penh’s future expansion will happen as urbanization continues. Numerous cafes are already starting to pop up. International brands like Cold Stone Creamery, Burger King, and Krispy Kreme are opening their first stores in the country here. You could easily see why 7 Makara will probably get swallowed up by the city center during the next decade. This would make values increase to city center levels. Some properties more west of 7 Makara have potential too. Consider looking at Tuol Kouk and Por Senchey districts closer to Phnom Penh’s airport. Siem Reap serves as the gateway to the ancient ruins of Angkor Wat – the center of Cambodia’s tourism industry. Angkor Wat is the world’s largest religious structure. Today, it’s also one of Asia’s most visited attractions drawing in more than 2 million tourists each year. Siem Reap is located on the edge of Angkor Wat and Cambodia’s second largest city. Siem Reap will naturally benefit from Cambodia’s tourism boom. The city’s airport just finished a major renovation. It needed one because arrivals are increasing by about 10% each year. There are many apartments in and around the city center. As such, your first idea might be to start a restaurant or hotel to make money off a tourism boom. However, that’s very difficult if you aren’t living in Cambodia and probably not the best way to invest in Siem Reap property either. Siem Reap is instead an excellent place to cater to the middle-class local market. More Khmers enter the tourism industry as it grows. Tons of these jobs are in Siem Reap and well-paid by local standards. Therefore, an abundance of employment opportunities means renting to Cambodia’s rising middle-class without being a slumlord is possible. Yet Siem Reap’s city center is, with rare exception, the only neighborhood with residential units that foreigners can own. Outer parts of the city are mostly land and houses. But they’re good choices for investors that don’t mind a complex title structure and development work. A four–hour drive from Phnom Penh, Sihanoukville has some of Asia’s best beaches. These are mostly unheard of and often aren’t crowded. This will probably change soon and is already happening. Surging Chinese foreign investment helped Sihanoukville property prices double between 2016 and 2018. Sihanoukville still has some of Asia’s cheapest beachfront and beach view property. Finding absolute beachfront land priced at under $30 per square meter (about $3 per square foot) is possible. Once you’re outside the coastal areas and travel eastward, the actual city of Sihanoukville isn’t much to look at. But even here there’s potential for long term growth. All major Cambodia real estate markets are developing quickly. It’s worth steering clear of the large, expensive villa projects marketed toward foreigners. They might be fine if you just want a lifestyle purchase. However, they’re way too big and illiquid as investments. Stick with something nice yet not luxurious. A perfect example of a city growing fast, Battambang has a prime location right in the center of Cambodia’s most important rice producing province. It’s been a commercial hub for centuries and to this very day serves as a gateway between Phnom Penh and Thailand. Cambodia’s population and influence are growing at a pace rarely seen in the western world. While it’s a rather small nation of just over 15 million today, its total population should reach over 20 million by 2035 and continue growing from there. It’s often the smaller and mid-tier cities that benefit from urbanization because they’re starting from a lower base. In less developed cities, you can “create something from nothing” in a way you couldn’t in the capital. Battambang’s central area is, for the most part, the city’s only place to easily buy property as a foreigner. The suburbs have a few attractive houses while the outskirts have some well-priced land plots. Yet both of these options require forming a land-holding company. Furthermore, you need to develop any unused land immediately to avoid paying a 2% tax on its value each year. Poipet is similar to Batttambang in that it’s close to the Thai border (even closer in fact). It’s a second-tier city and will benefit from continued regional trade and urbanization. The difference is that gambling contributes to the Poipet economy far more than agriculture and markets. Gambling is illegal just across the border in Thailand. Of course, many Thais wish to gamble and Poipet is the closest city to Bangkok where it’s possible. Hordes of Chinese tourists are increasingly choosing Cambodia over Macao for their gaming adventures – a major boon to Poipet’s economy. The city’s borders are also constantly expanding in line with its population growth. Property investments on the edge of the Poipet’s central core should appreciate in value and perform well over the long term. Poipet has lots of apartments and houses in the suburbs to the north/northeast of the city’s center as well. The best way to make money in Cambodia real estate is often through buying an unrenovated shophouse apartment, then spending money fixing it and bringing it up to modern standards. But you need a contractor if you’re doing a renovation job. Let’s face it: it’s sometimes hard to find an honest contractor in the developed world let alone in frontier markets. Contractors may not always be up to international standards – or they could simply be trying to rip you off. Finding a contractor based on referrals and local connections is crucial. Honest, fair contractors exist in Cambodia. But you must know the correct people. Be aware that if you buy the upper floor of a shophouse apartment in Cambodia, you own the building’s roof and usually the right to build on top of it. You must first obtain district approval though. Locals often want to save themselves the 3% brokerage fee instead of using a real estate agent. Signs like this show a property is for sale. For newcomers to property in Cambodia, a proper real estate agent is a must. This is another one of those types of services that sometimes aren’t up to international standards in frontier markets. Finding a quality agent outside of Phnom Penh, Siem Reap, or Sihanoukville is unlikely. That’s because locals don’t really use property agents in Cambodia. Khmers usually find properties for sale through local circles and word of mouth. Realtors just simplify the process if you’re a foreigner. But for most investors, going through a Cambodian real estate agent is probably a great idea unless you speak Khmer and don’t mind dealing with local bureaucracy. It’s also worth noting some properties won’t be available if you use an agent. Whether doing so is practical or not, many Khmers would rather market the property themselves and save 3% of the sale value. Sellers typically pay the entire brokerage commission when you’re buying Cambodia property with a realtor. 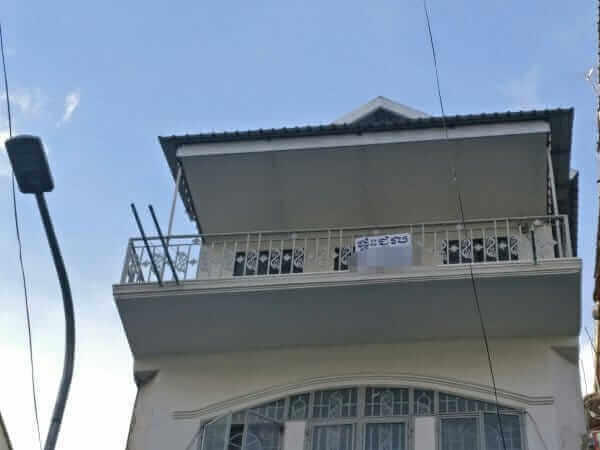 Therefore, lots of “listed” apartments will simply have a sign outside in Khmer script that says the property is for sale along with a contact number. Such opportunities require speaking or knowing someone who speaks Khmer. Yet some of the best deals are found riding around on a motorcycle and writing down notes about property for sale. With all that said, the best Cambodia real estate agents provide a valuable service – especially for the new and uninitiated. The rules in Cambodia’s lawbook aren’t necessarily how things work in practice. Some of the advice mentioned in this guide either doesn’t apply across the board or is more nuanced than it might seem at first. For example, soft titles transfer at the district level instead of the national level. Processes and timeframes vary based on where you buy property because of this. Several “neighborhood chiefs” are infamous in their bureaucracy, asking for bribes unless you wait two months for the title transfer. As of December 2017, a few Phnom Penh neighborhoods will allow foreigners to own soft title properties under their own name without finding a nominee or forming a company. That’s despite a recent mandate from the central government. Sometimes you may run into a small problem. Yet typically people will offer to “fix” any small problems. Something else notable is that the US Dollar is the currency of choice for anything above a very small purchase. That’s obvious to investors familiar with Cambodia, but likely new information to anyone who isn’t. Buying real estate denominated in the US Dollar is a positive and unique aspect of investing in Cambodia property. Regardless of your own view on the dollar’s future, denominating your assets in the greenback is far better than most other Asian currencies. Some like the Indonesian rupiah and Vietnam’s dong have performed badly for years due to inflation. Is Buying Cambodia Property a Good Investment? It’s not the usual investment recommendation. But that’s precisely the reason why Cambodia property has so much potential. You can make money by investing in frontier markets which aren’t yet overrun by foreign capital. Major outlets like Bloomberg or CNBC certainly don’t talk about Cambodia much. That’s a very good thing. While everyone else hasn’t even discovered Cambodia, its GDP keeps climbing by over 7% annually. Infrastructure, ports, and new roads are under construction across the country. The process of economic diversification continues on. Large multinationals, lured by low taxes and business-friendliness, are setting up shop and bringing expats with them. More importantly, a nation once scarred by the atrocities of the Khmer Rogue not only moves, but leaps forward. Cambodia’s best days are ahead of it.